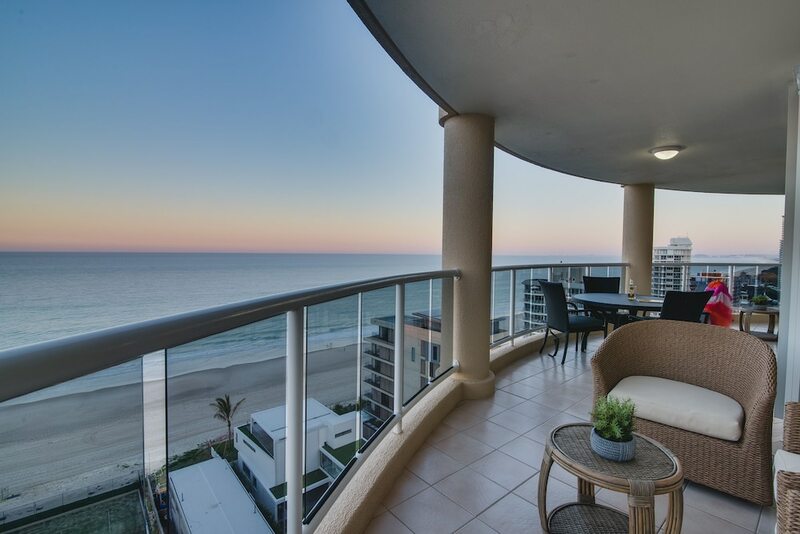 When you stay at Xanadu Main Beach Resort in Main Beach, you'll be on the boardwalk, within a 5-minute drive of Surfers Paradise Beach and Sea World. This 4.5-star apartment is 1.6 mi (2.6 km) from Chevron Renaissance and 2.3 mi (3.7 km) from Cavill Avenue. Make yourself at home in one of the 55 air-conditioned rooms featuring kitchens with full-sized refrigerators/freezers and ovens. Rooms have private balconies. Wired and wireless Internet access is complimentary, while DVD players and cable programming provide entertainment. Conveniences include phones, as well as safes and microwaves. Be sure to enjoy recreational amenities, including outdoor tennis courts, an outdoor pool, and an indoor pool. Additional amenities at this apartment include complimentary wireless Internet access, babysitting/childcare (surcharge), and an arcade/game room.